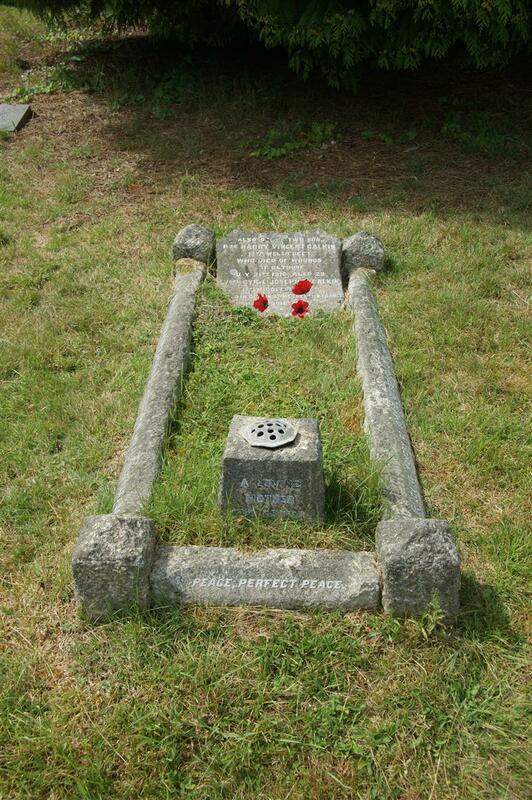 In loving memory of John Henry Calkin who passed away Jan 14 1922, aged 50. // Also of his two sons / Pte Harry Vincent Calkin / 17th Welsh Regt / who died of wounds / at Bethune / July 31st 1916, aged 23. / L/Cpl Cyril Joseph R Calkin / 1st Middlesex Regt / killed in action at Metrehern France / April 17th 1918, aged 32 / ??? but memories ?? ?.